On the left is the DEC CR8FA card reader for normal punched cards. It used a blower to try to reduce card misfeeds. Next are various manuals. In the center is the DEC CR05-C card reader which can read punched and mark sense cards. On the right is a PDP-8/M computer with a DEC LA-100 printing terminal on top. 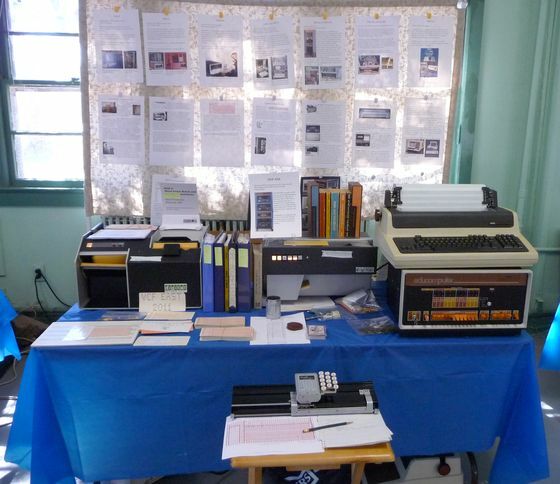 In the front are various punched card and mark sense items. On the table is a hand card punch.